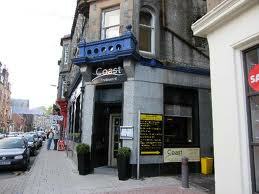 Coast – the fresh taste of Real Cuisine in Scotland’s Capital of Seafood. 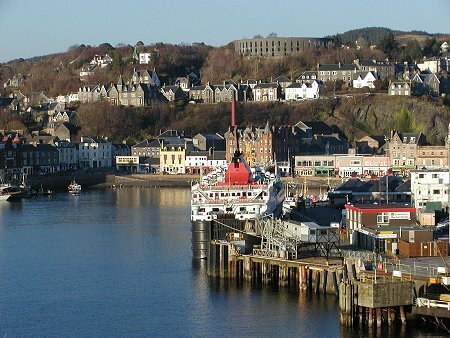 The fishing port of Oban on the Argyll coast, is always a refreshing place to visit – not least the blast of salt sea air as you walk along the promenade, then buy a crab sandwich or garlicky mussels from the Green Shed on the pier for a picnic lunch. This is the Gateway to the Islands and many visitors will stop off here for a day or two, before boarding a Caledonian McBrayne ferry to cruise around the Hebrides – over the sea to Tiree, Colonsay, Coll, Barra, Islay … and beyond. My partner Ken and I arrived in Oban, mid afternoon one day in March – a wet and windy day – but no matter. We checked into Greystones, a stylish, minimalist designed Guest house perched up a steep hill with fabulous views from our spacious suite out to sea and the misty shape of tiny islands beyond. After an overnight stay, we were taking the ferry to enjoy a relaxing weekend trip on the Isle of Mull. Whether it is good pub grub and a pint, a quick take away or romantic dinner for two, you will find something to suit all tastes and budgets ; the town boasts its own malt whisky distillery, plenty of great wee pubs and several micro breweries. Oban has been named ‘Seafood Capital of Scotland’, renowned for the variety and quality of seafood landed in the harbour. There are a few speciality fish restaurants here and from the net to the table, you can’t get fresher! Coast was formerly a Bank. That evening we walked just five minutes down the path from Greystones to George Street where we had made reservations for dinner at Coast. Having seen rave reviews on line, this seemed to be one of the most popular Restaurants, located just along from the Esplanade. The building is a former Bank and retains the original granite exterior and tall windows. Inside, it’s all very smart-casual and contemporary with dark wood tables and high backed cream chairs. The grey painted walls, timber and copper furnishings reminded me of a ship, which is in keeping with the seafood menu and the name Coast. Head chef Richard Fowler and his wife Nicola (front of house Host and Manager) have been serving fine cuisine here for ten years and built up an excellent reputation. As we sat studying the menu with a gin and tonic to hand, the ambience is warm and welcoming, easy listening jazz and soft candle-light. I began with a large bowl of Cullen Skink, just perfect for a chilly night – a thick creamy broth of smoked haddock, leeks and chunky potatoes. Ken selected the Beetroot and Goat’s Cheese salad, accompanied by micro herbs and salad leaves topped with a tangy green watercress dressing. From the wine list we selected a Tempranillo (at a very reasonable £ 12), one of the house wines, described as a blend of vibrant red berries, spices and a hint of cayenne pepper. After my “meal in itself” soup, I then opted for another Starter dish, chargrilled Langoustines, drizzled with garlic butter and a green salad. The platter was correctly presented with a finger bowl of hot water, (as usual prompting a joke about clear soup! ), plus the essential pliers and sharp tools for the job. This ensured every morsel of juicy white flesh was extracted from the slender claws. Across the table Ken enjoyed a fillet of Seabass with roasted cauliflower, honey-sweetened celeriac and salty anchovy fritters. 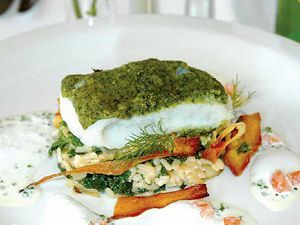 An inventive selection of crisp vegetables and accompaniments to complement the flaky fish. While seafood is a speciality here, carnivores and vegetarians are well catered for with such dishes as Aberdeen Angus Steak, Argyll Venison or a Wild Mushroom Tart. The emphasis is clearly on the local provenance of locally sourced meat, game and fish. After a pause, sipping a glass of wine, my partner ordered the Poached Rhubarb with coconut sorbet, a light, palate cleansing dessert, while I requested a half portion of Scottish cheese with grapes and tiny oatcakes. The perfect end to a truly first class dinner. 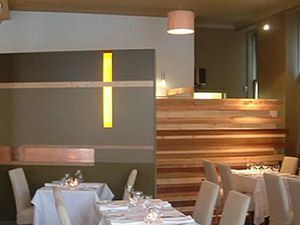 Coast is open for a light, good value lunch, Monday to Saturday and for a la carte dinner, seven nights a week. During the busy summer season, Richard and Nicola have no days off at all!. Be warned – a table reservation is advisable due to regular 5 star reviews. Happy diners are truly impressed, commenting that they will return for second helpings another day. That is the testament of a fine place to eat and drink. It ticks all the boxes for food, wine, atmosphere and friendly hospitality. 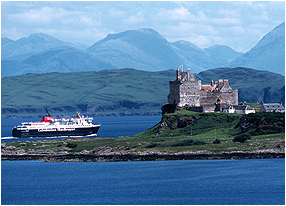 Cal Mac ferry passing Duart castle, Isle of Mull.